Pioneers in the industry, we offer turnkey cryogenic installation solutions from India. 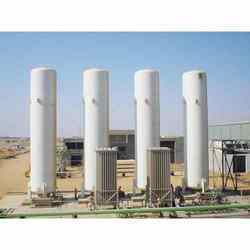 Owing to our vast domain expertise, we are offering Turnkey Cryogenic Installation Solutions. These are installed along with backup systems like a pump, control panel, tanks etc. Our turnkey solutions for the cryogenic installations are handled by a team of technical experts, who have vast knowledge in that particular project. Further, these projects are designed as per the budgetary and specifications provided by the clients.